Growing up centerpieces were huge in my house. 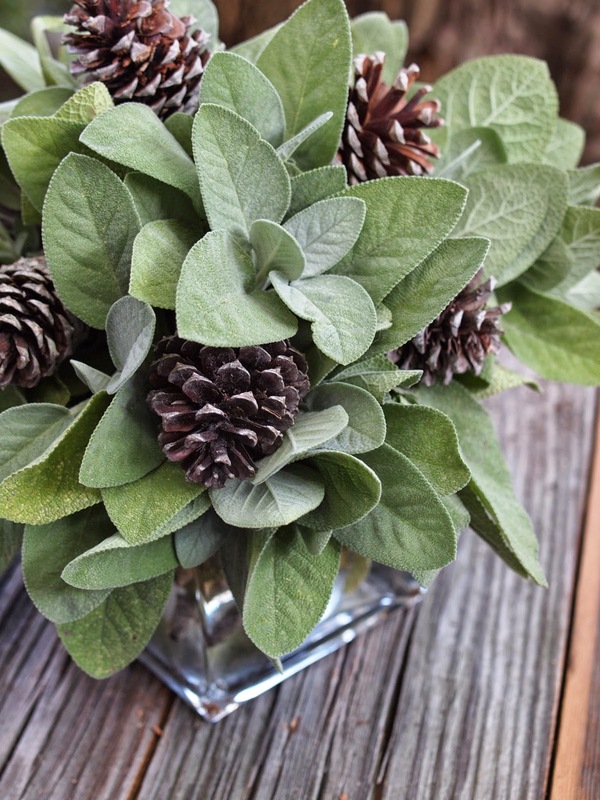 My mom created beautiful centerpieces that adorned our dining room table all year round. We would joke, because some were so big that we couldn't even see each other during dinner, but they were always beautiful and she loved designing them. Now that Michael built us our own dining table, I can't wait to create a centerpiece for the holdays. 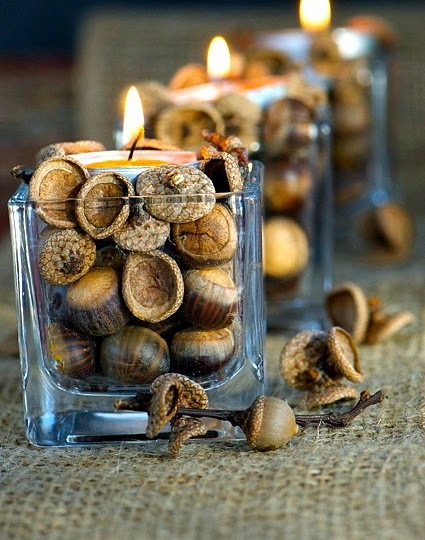 For Thanksgiving I want to stay away from the typical pumpkins and autumn flowers and try something simple and organic that I can carry over to Christmas. I came across these beautiful pieces which combine lots of greenery with nature. I definitely want to use acorns since Tommy loves to collect them and they are everywhere right now! Maybe a little project we can do together. Check these beautiful pieces out! 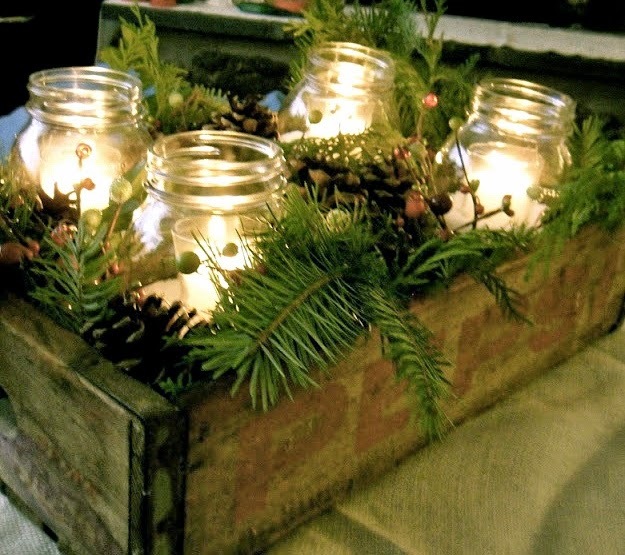 Pine cones, pine needles and mason jars with tea lights. 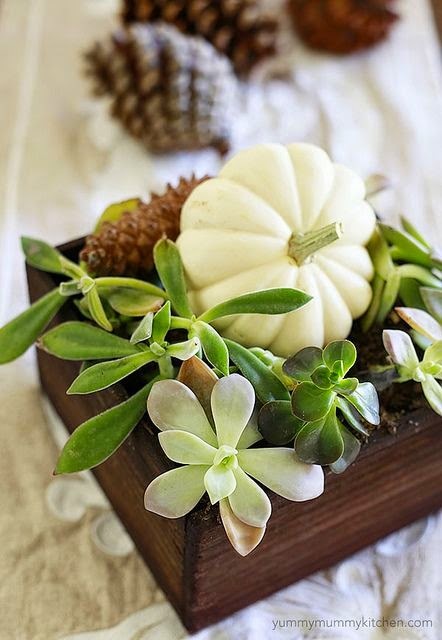 Painted white mini pumpkins and any greenery of your choice. So pretty! Which would you choose? Have a Happy Thanksgiving everyone! 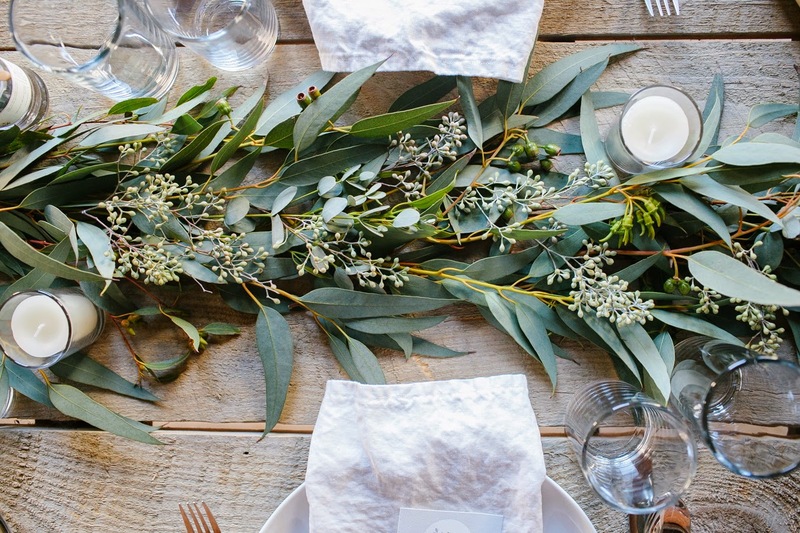 Love the eucalyptus leaves, so pretty!